When you invest in a franchise, you get the benefits of proven business systems, trusted products and services, and support. What’s more, you also get a company history, a story that gives your business credibility and relatability. Our story is about a man who wanted to take care of his family, and ended up taking care of families across America. USA Insulation was established in 1977 and incorporated in 1985 in Eastlake, OH by founder Jeff Pitrone. For over 30 years, USA Insulation has been providing quality insulation products and services to American families. In fact, USA Insulation has helped over 80,000 homeowners experience year-round comfort, substantial savings, and greater energy efficiency. But how did it all begin? USA Insulation was created to provide homeowners with an important solution during a time of uncertainty. Our country was in the throes of a serious energy crisis. The cost of energy usage was at an all-time high and the government was looking for ways to conserve dwindling natural resources and decrease dependence on foreign oil. The government was even offering incentives for projects that would improve energy efficiency. American families were also facing high interest rates. Jeff, like many Americans, was in the building business and facing interest rates over 20%. He was looking for an additional income stream to provide for his family. After months of research, he found that most homes in America were lacking adequate insulation. People were still living in homes built from 1920 to around 1950, and nobody was thinking about insulating. Millions of homes were sitting out there without a winter coat on. He realized that not only was there a high demand for the product, but the government incentives made insulation installation even more enticing. He also already knew the insulation part of the building industry and thought it would be something he could handle until the economy bounced back. As it turned out, insulation was a natural fit for Jeff. He ran his first appointment and made the sale easily. One sale became ten sales, and ten became one hundred. 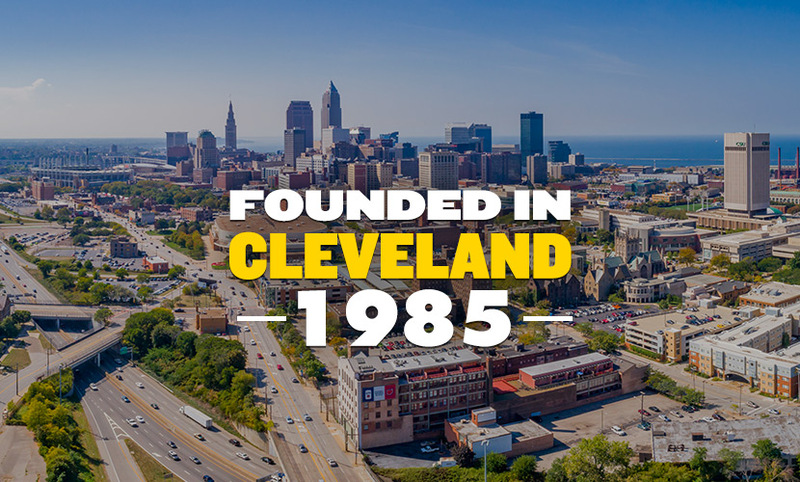 In 1985, USA Insulation incorporated and expanded its Cleveland-based operation to Columbus, Dayton, and Cincinnati. After completing some high-profile commercial insulation jobs, such as Jacobs Fields, Gund Arena, and University Hospitals of Cleveland, USA Insulation turned its focus and proprietary USA Premium Foam® Insulation toward the insulation of residential homes. Pitrone introduced the insulation product line and process that USA Insulation still uses today – USA Insulation’s proprietary USA Premium Foam, a revolutionary and highly effective insulation product. Word spread about the extraordinary benefits of this premium foam and the impeccable service that USA Insulation provided. Over time, Pitrone hired more associates, bought more trucks, and refined his installation processes. In 2006, armed with the knowledge that homeowners were willing to pay for high-quality premium insulation to improve their home’s comfort level and save money on utilities, USA Insulation began to franchise its model to reach a larger, national customer base. USA Insulation is the first, and one of the largest and fastest-growing insulation franchises in the United States. Today, USA Insulation has grown to over 25 locations throughout the country. With over 80,000 success stories to date, we’re well on the way to providing comfort and savings to homeowners across the U.S. The real key to our success is that we have remained a family business focused on customer service for over thirty years. We’re looking for ambitious people who are ready to commit to providing excellent customer service and a high-quality process. You can learn more about our story and becoming a franchise owner by contacting us for more information. This information is not intended as an offer to sell, or the solicitation of an offer to buy, a franchise. It is for information purposes only. Currently, the following states regulate the offer and sale of franchises: California, Hawaii, Illinois, Indiana, Maryland, Michigan, Minnesota, New York, North Dakota, Rhode Island, South Dakota, Virginia, Washington and Wisconsin. If you are a resident of or want to operate a franchise in one of these states, we will not offer you a franchise unless and until we have complied with applicable pre-sale registration and disclosure requirements in your state.